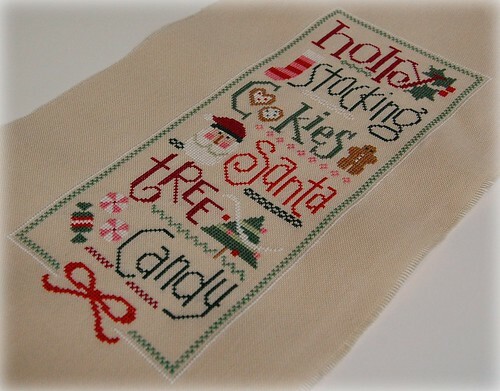 Nicole's Needlework: Christmas Spirit Mini Banner Finished! beautiful finish Nicole!!!! Your stitching always POPS on your fabrics!!! It's gorgeous! I like it small :) Congratulations on a lovely finish. Congratulations on your finish~ It's so cute!!! I love how the colors turned out!! oh, how pretty, how pretty, how *pretty*! Congratulations on your lovely (fast!) finish! Es ist wirklich wunderschön! Und macht echt gute Laune! Weihnachtslaune!!! gosh this looks great! BEAUTIFUL JOB! That is so cute! What are you going to do with it? I think it looks FABU without the charms-great work! Beautiful finish Nicole! I just love the bright colours on this piece. Makes me feel quite Christmassy looking at it. I love how this turned out, stitching only six. Beautiful finish! Congratulations on another finish...I just love that too. I have most of Lizzie and Kate's Patterns too. I did their very first Seasonal Flip It Series as one whole piece and I have that hanging up on my Wall in my Living Room. Absolutely gorgeous, Nicole! Now I have to go out and buy all those charts! Lizzie Kates stitch up so gosh darn quick, don't they? It turned out pretty. Nice work. Hi Nicole, I've just found your blog and I am astonished! Your works seem to me to be incredible. I also adore the designs of LHN and of CCN. From already I am one addicted to your blog, an embrace. Hi Nicole, Very cute LK finish! I really like your version alot...hmm I think you've enabled me on this series that so far I was passing on! :) will yours be a bell pull? Absolutely gorgeous work Nicole. I love how it looks! Congratulations on your finish, Nicole. It's lovely! It looks lovely Nicole. 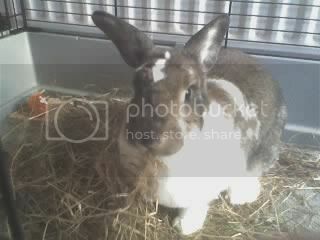 again, I am really impressed with how clear your photos look on this site! Congrats on a lovey finish and on taking great droolworthy photos! I can't wait to get started on this one. Beautiful finish! Congrats! !